The Nigerian coat of arms is a unique heraldic design on a black shield that has two white lines that form a ‘Y’ shape and two white horses – one on each side. On top of the shield is a green and white band with an eagle standing on top of the band. Below are the representation of each element on the Nigerian coat of arms. The Two Horses – The two horses on the side of the shield represents Dignity. The Red Flowers – The Red Flowers at the base are called costus spectabilis. This is the Nigerian national flower .The flower was included in the national Coat of Arms to stand for the beauty of the nation as it is found all over Nigeria. The White Letter ”Y” – This represents River Niger and River Benue. 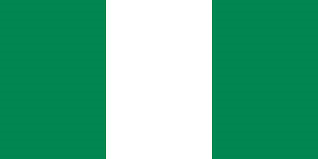 The Band Around The Base – This carries the Nigerian National Motto since 1978 ”Unity and Faith, Peace and Progress”. The motto was formerly ”Peace , Unity and Freedom”. 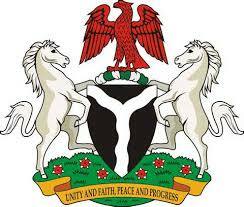 The Nigerian coat of Arms was adopted on the 20th of May 1960.